Looking for a delicious and nutritious snack for the kids? Why not try Sardine fishcakes? Sardine Fish Cakes provide yet another inexpensive way of fitting fish into a frugal diet. Trust me, these cakes really are the perfect way to see out a hard week at work, served alongside a wedge of lemon. 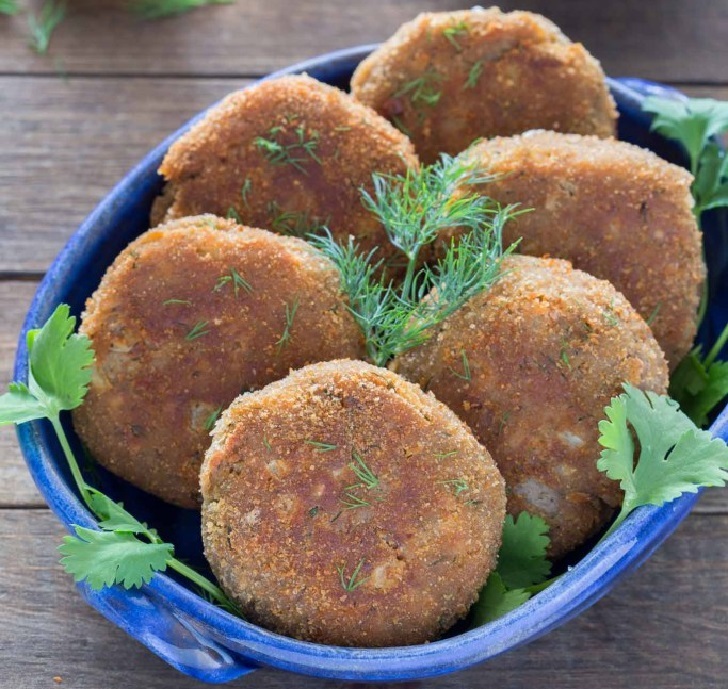 SARDINE FISH CAKES ARE PACKED WITH PROTEINS, OMEGA-3 HEALTHY FAT & VITAMIN B12. So to keep some of the super healthy omega 3 fish, healthy fatty acids in your diet you ought to cook trout, Sardine Fish Cakes or Sardine Fisherman’s Eggs now and again. Drain and mash the sardines; keep the sauce if you wish to serve it with the fishcakes. Cook the potatoes in salted, boiling water until soft. Drain well, mash, and season with salt and pepper. Mix together the sardines, mashed potato, beaten eggs, onion and parsley, and season with salt and pepper. Form into six patties on a floured board and dust well with flour. Fry the fishcakes in shallow oil until crisp and golden brown. Drain on kitchen paper. Place the fishcakes on plates with lettuce leaves and sliced tomato. TIP: Don’t throw away sardine bones! They are full of calcium, which is essential for strong, healthy bones, teeth and hair. The bones in Sardines are so soft that even a toddler can eat them.